This system can be a good curve ball to throw against your opponents. 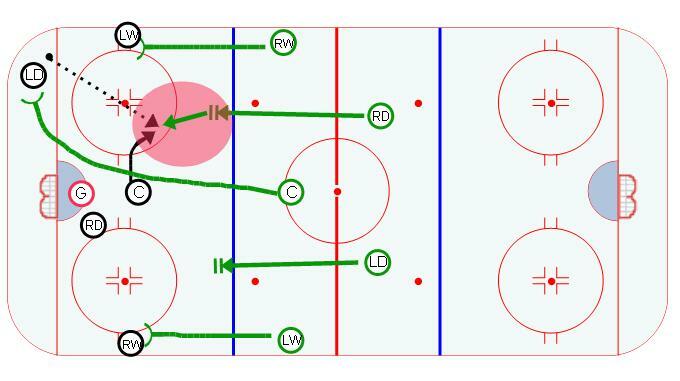 The idea is that it tempts them to use the middle of the ice as their only outlet and use your defense to take advantage of the turnovers in the high slot. The center is key. They must attack from the inside out and force the puck carrier to the corner. The wingers only job is to man up with the opponents wingers to take away the pass up the boards. The defense look to create a turnover in the high slot area.